Digital Marketing is becoming a booming industry in India. In the coming time, almost every business be it local or an organization business they will be including Digital marketing in their promotional activities. What’s more, with the interest for digital marketers exceeding the supply, there are a lot of chances out there for those hoping to get into the field and settle down there careers in stable. We will be providing 128+ Training Hours. What is the Scope after Digital Marketing Course is Completed? We will be providing with 10 certifications and an advanced Digital Marketing Certificate from Digital Technology Institute that we will be giving you at the end of the course.You are not done right here, what we will be providing you more is to access the premium Digital Marketing tools worth Rs 65,000/- which is very genuine for a digital marketing course fees Delhi. Want to Enquire about Digital Marketing Course Fees Delhi? Then, you are at the Right Spot. 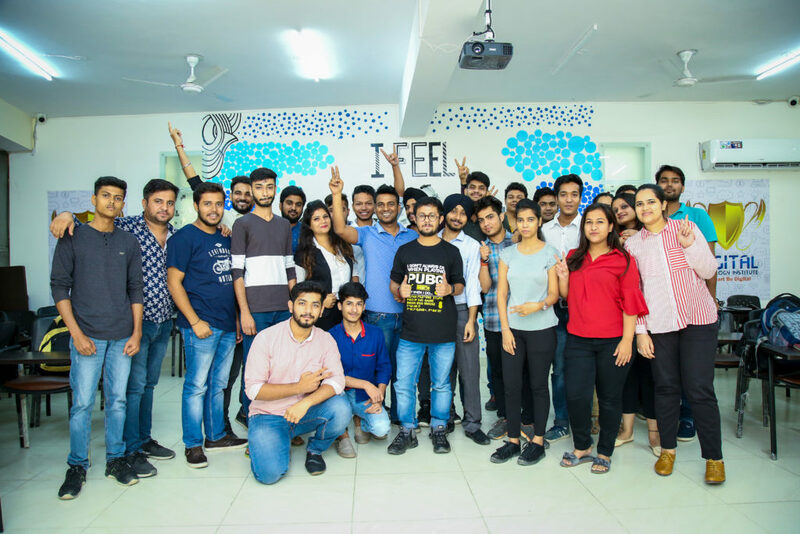 DTI provides the appropriate digital marketing course fees and duration delhi by keeping in mind what they offer and provide the students with. The fee can range from 35K k to 55K it all depends on the course structure.The fee normally depends upon the course that we will be offering you. You could be included with a start-up or with an effectively existing business, you could be a study, an expert or even a homemaker, however after enroling yourself at the laudable Digital Marketing program at Digital Technology Institute, you will undoubtedly be exceptionally capable in every one of the modules that are must to be a successful Digital Marketer. It won’t just make you a specialist in tracking and observing digital marketing performance yet, in addition, enable you to design, conceptualize and implement, digital marketing strategies all by yourself. In easier words, before the wind up of this three-month course, you will turn into a specialist in promoting any brand, product or services on the web.